At least that’s now over, and some fairly extraordinary things will have to happen before we play a league match with this Wolverhampton Wanderers team again. This game had been looming, like a drifting juggernaut, inexorably filling the dash cam of our season. It hit us hard, but somehow we survived. So we’ll play Reading at the weekend, a very different game. And Wolves will play Manchester City next season, also a very different game. 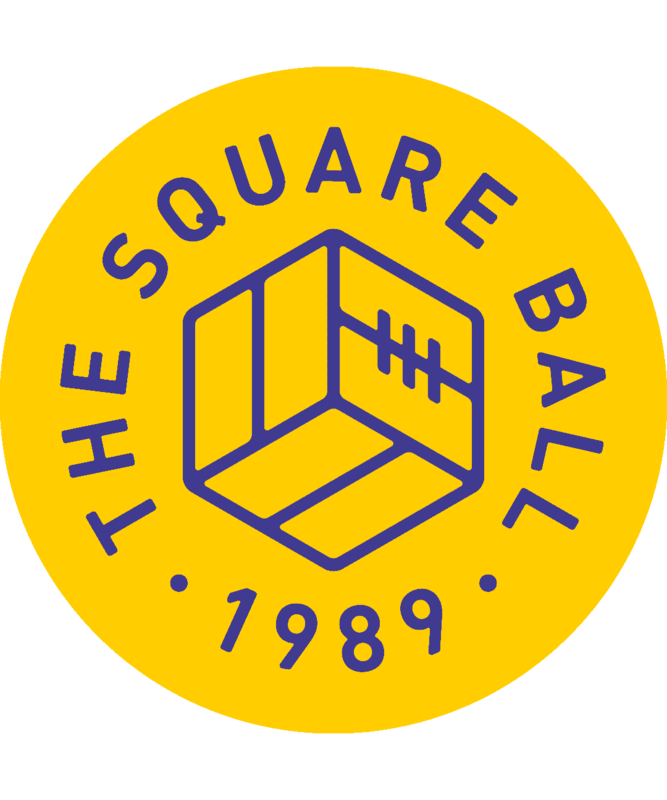 In some ways it’s a relief that we won’t be taking this current version of Leeds United Football Club to the Etihad Stadium because, I mean, Christ, can you imagine. Not only the football, but the post game tweets; the UAE and Qatar don’t enjoy the best of relations, and Andrea Radrizzani might feel that loyalty to Ivan Bravo like a devil on his shoulder, encouraging him to spend the last ten minutes of the match composing futile protests on Twitter. More of that later. First, we have to deal with the futility of the football match Leeds played with Wolves. The final score was 3-0 to Wolves, not as bad as many Leeds fans had feared, and better than many had hoped, but very much a dismissive cuff round the ear from a much more sophisticated opponent, just passing through. All Wolves’ advantages off the pitch are fully expressed on it: they have quality players with a winning habit, who are enjoying being really good at football this season. When that happens, games like this are easy. There were two positives for Leeds to cling to. First, the effort and work rate that was completely absent from the capitulation to Middlesbrough in the last game returned. They’d been there in the defeat of Brentford; Leeds were all about the second ball in that game, fighting for the win. That came back, but in a different and sad way: Leeds weren’t scrapping for victory, but to stay in the game. Still, Adam Forshaw’s restoration had the desired effect; even when he makes a mistake and risks losing possession, he somehow finds a way to keep it, and he alone has instructions and corrections to yell at his teammates, encouraging them towards better play. I wouldn’t argue with Gaetano Berardi’s right to take the armband when Liam Cooper went off injured — after being floored at a corner by Gaetano Berardi — but Forshaw is consistently proving himself the best candidate over any other. 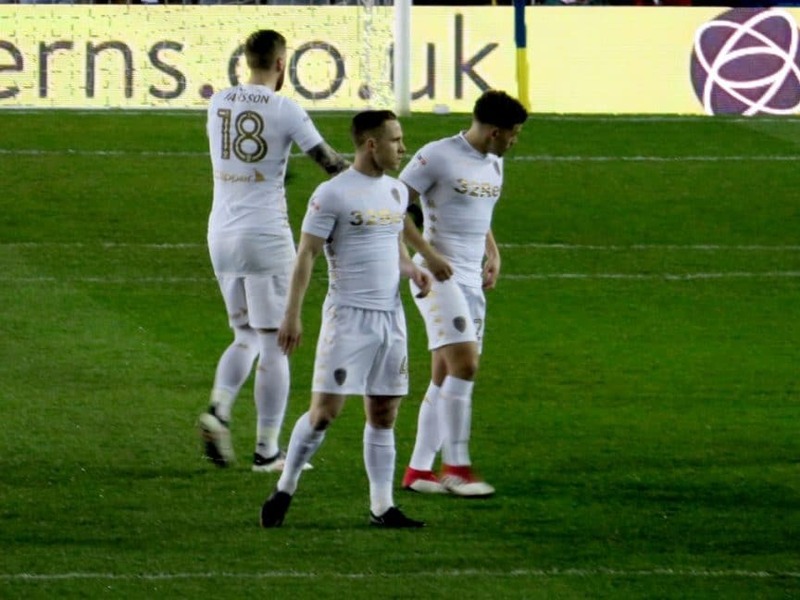 Berardi, for his part, is maintaining a high minimum standard and looks bewildered by the drop of the players around him, so much so that he hit an exceptionally hard shot just wide of the Kop end goal, as if to demonstrate that if something didn’t start happening in the Leeds attack, he’d just start shooting himself. What was happening in the Leeds attack was not much in the first half, and not much more in the second. Samu Saiz was playing deeper than I remember him back in the days when he was an angel from heaven, but all that did was put seven players between him and the goal when he refused to pass, instead of three. I don’t really blame Saiz for hogging the ball; I don’t think it’s selfishness. I think he starts each match with an ideal of how his intelligent sharp passing will create goals for his teammates, but then his teammates stare at his intelligent sharp passes as if they’re shopping trolleys rolling towards the bottom of a river, and Saiz gets it into his head that if Leeds are going to score, he’ll have to do it himself. Pablo Hernandez must feel this way too, but he persisted with final balls that gained nothing, after he made huge gains in possession and created a way towards goal. He was a halftime substitute for Hadi Sacko, but if only he could have replaced Stuart Dallas as well; through the entire match Dallas played by default, crossing from the wing to the six yard box with no thought or consideration of what it might specifically achieve, just a dim understanding that, as a winger, that was what he ought to do. At one point even Berardi put in a more precise cross from the right wing but, being Berardi, he fired it at Caleb Ekuban at around 80mph. The other positive was that Bailey Peacock-Farrell came through the game without his confidence being crushed and with his reputation enhanced by his unexpected start in nets. The screams Felix Wiedwald has been hearing in his purgatory were the sound of Leeds fans calling for Peacock-Farrell to step forward and relieve him from the pain of being in goal for Leeds, while also robbing him of his one reason to be, being in goal for Leeds. Paul Heckingbottom poured scornful water on that idea in his pre-match press conference, saying that he didn’t know Bailey well enough to know if he had the mentality to cope with first team Championship football, but that he had taken him aside for a private chat about expectations, and how he had not been fulfilling them lately. Some dickhead also pulled together a compilation of the goals Peacock-Farrell conceded in what was generally agreed to be a disastrous four-game loan spell at York City in the autumn, each goal except maybe one a goalkeeping howler of toddler-fights-balloon proportions. That dickhead was me, but my intention was never to embarrass or vilify a young player, but to recalibrate the expectations of those assuming he could step in and prosper where Wiedwald had wilted. Heckingbottom was saying it too; you have to be careful that young players are ready, that they’ve performed well enough to earn the reward of a first team spot, that they’re not being relied upon by default where more experienced players, although they might be consistently failing, can at least demonstrate a strong chin with which to deflect the bricks being thrown their way, if not the footballs. Then Heckingbottom confounded expectations by playing the kid he doesn’t know very well, and the kid confounded the expectations of dickheads everywhere, and here specifically, by playing very well. I was delighted by this. It’s football; it’s designed to prove people wrong, and I’ve long since abandoned shame when it comes to opinions on Leeds United. Besides, the opposite — that Peacock-Farrell resembled for Leeds the ghost of York, conceded many awful goals, and exited stage left pursued by the Sky TV camera that hounded him before kick-off — would have brought nobody any pleasure. I have an obtuse and probably unfair point about that camera, and how it followed Peacock-Farrell so closely as the teams lined up before the game. This team demands leadership, and I was willing one of Pontus Jansson, Forshaw or Berardi to step in and give the cameraman something truly dramatic to film, so the nervous young keeper could be left alone. But no matter. When the game started, Peacock-Farrell was brave enough himself, making several very good saves — they don’t need hyping up more than that — and acquitting himself very well at a much higher level than he’s faced for some time. He was helped by some of Wolves’ finishing — they had an attitude towards sitters like a fire in an armchair factory — but he helped himself with some solid goalkeeping. It would have been nice if the players in front of him had helped Peacock-Farrell by doing their bits to defend the two corners from which Wolves took a 2-0 lead, but it wasn’t to be. For one, as the ball came across the box, Dallas had a grip on Romain Saiss, then let him go, ran at the ball, and missed, leaving Saiss unmarked to head home. For the second, Danny Batth beat Jansson and headed against the crossbar, and United’s Lilliputian defenders couldn’t stop Willy Boly heading in the rebound. Then there was the third goal, in a second half when all of United’s endeavour proved useless against a smidgen of Wolves’ quality; perhaps it was Peacock-Farrell’s fault, and his charge outside the penalty area that let Benik Afobe lob him so easily did look ill-advised, but there are larger issues at work than the goalkeeper in the three goals Leeds conceded to Wolves, three goals that were given as much as taken. Meanwhile, Leeds United’s owner was instigating some post-match chat of his own. The disgruntlement about Wolves’ relationship with Jorge Mendes, the ‘super agent’ who has secured them a squad of ridiculously good footballers for outrageously little outlay, and whose business enjoys significant investment from the same Chinese conglomerate that owns Wolves, has been growing of late; according to Angus Kinnear’s programme notes, this has been partly due to the recent meeting of Football League clubs where Financial Fair Play and its implications — particularly for clubs who respect its limits — were a hot topic. There have been reports this week of a Championship club taking the lead and sending a strong letter of complaint about Mendes’ involvement, although it’s not clear who the letter has been sent to, because nobody’s sure if this is the FA’s jurisdiction, or the EFL’s. And when that’s the first question, you can bet a solution is far, far behind. Better then, perhaps, to tweet out your frustration at the end of a 3-0 defeat to Mendes’ team; or perhaps not. Andrea Radrizzani’s petulant post-match pontificating was the action, and hopefully the last action for a while, of a person who needs to take a step away from the public face of the situation he’s creating and think carefully about where he goes from here. The answer of two weeks ago, when in the LUTV Q&A with our ‘highest ranking officials’ Radrizzani insisted to a questioner that the club hadn’t failed to meet its target of the play-offs “yet”, has now been confirmed as misplaced arrogance, while whinging about Wolves — even though it is a justified whinge — tastes, because of the timing, lip-shrinkingly sour. What Wolves do or don’t do, fairly or unfairly, isn’t our fight. “We have our own problems”, as Radrizzani put it, and that’s much more interesting. In fact it’s fascinating. And Radrizzani should find it engrossing. Because he needs to sort it out if this club is going to move forward the way he claims it will.